A ROUTER DUPLICATOR WILL SAVE YOU SO MUCH TIME! 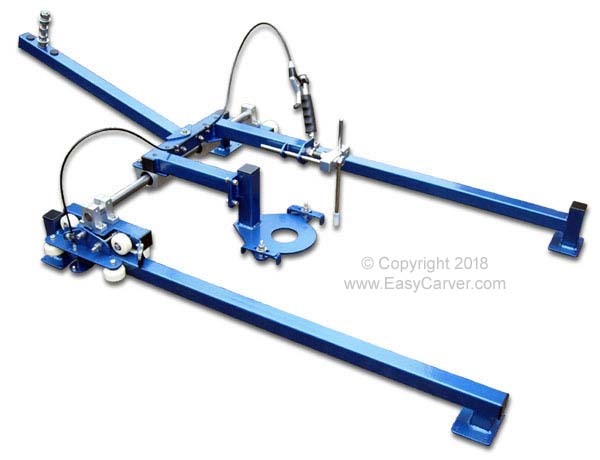 The Easy Carver build manual/plans will show you how to build a quality router duplicator that is on par with some commercially available machines. Depending on which of the five model sizes you choose, duplicators capable of carving from 200mm to a massive 600mm wide can be built. The standard carving length is 800mm, this can be customised to suit your particular requirements. 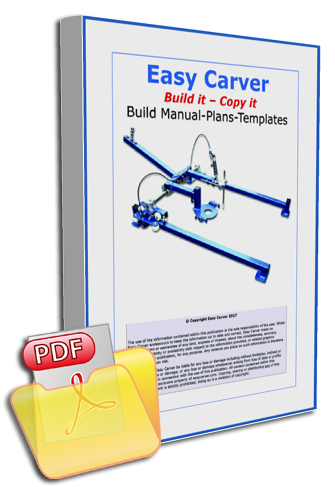 The comprehensive build manual has over 130 pages of clear, illustrated, and easy to follow step-by-step instructions to make the process of building the Easy Carver as straightforward as possible. Most, if not all of the parts required to build the Easy Carver can be bought cheaply from eBay. 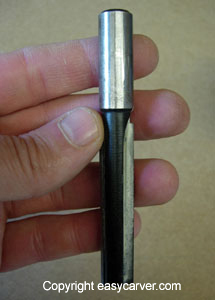 A full parts list is included in the build manual. The Easy Carver was designed by Clone Duplicators (who also invented the Clone 3D & Clone 4D duplicators). Clone has many years experience in designing and building copy carvers, and using this knowledge, Clone decided to design a quality router duplicator that could be built with ‘off-the-shelf’ parts by the self builder for a fraction of the cost of a fully built commercially available machine. 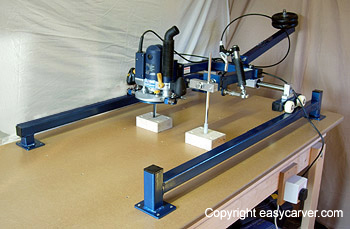 The Easy Carver has been designed for people who don’t have the budget for a commercial grade router duplicator, or who just prefer the DIY approach. The low build cost doesn’t mean that it’s a low grade duplicator – excellent results can be achieved with the Easy Carver, it’s a tried and tested design. Since 2010 woodworkers all over the world have been using the Easy Carver! than can be built with off-the-shelf parts by the self builder!" Propellers – Guitar Bodies – Furniture Components etc. 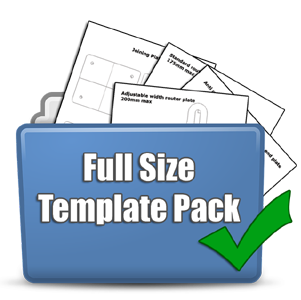 Full size printable templates of the main components such as router plates, rail feet, joining plates, roller assembly brackets and brake paddle. 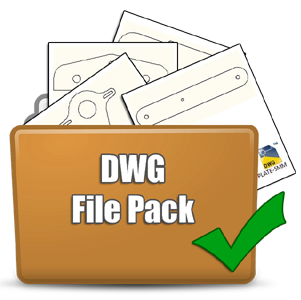 DWG files for all the components shown in the template pack. This gives the builder the option of having the components produced using a CNC laser cutter. 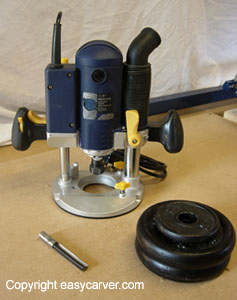 With the Easy Carver duplicator, almost any 1/2” plunge router can be used. When you’re not using the duplicator you can quickly remove the router and use it as normal. The Easy Carver copy carver has been designed to use standard 1/2” x 63mm router cutters, the same cutters that are used for cutting kitchen worktops. These are readily available and inexpensive to buy. Using these cutters combined with the power of a 1/2” plunge router allows the Easy Carver duplicator to quickly and easily cut through the wooden blank. 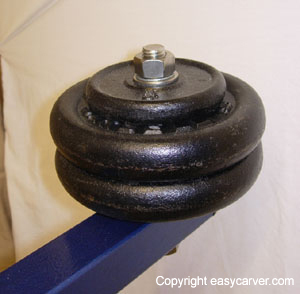 The Easy Carver duplicator utilises standard off-the-shelf weight training plates (with a 25mm – 1″ centre hole) to counterbalance the weight of the router. These are readily available from sports shops, supermarkets etc. Just add the weights to match the weight of your router.